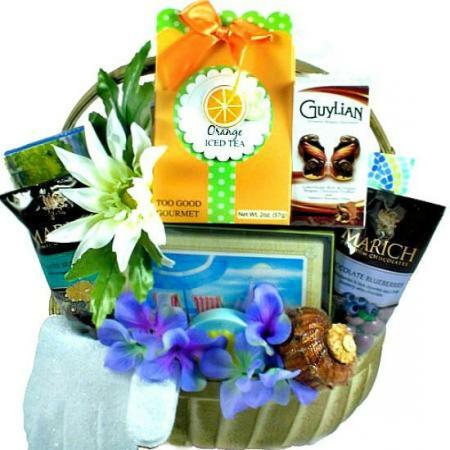 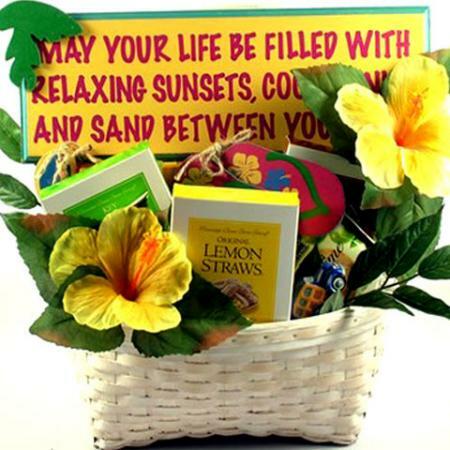 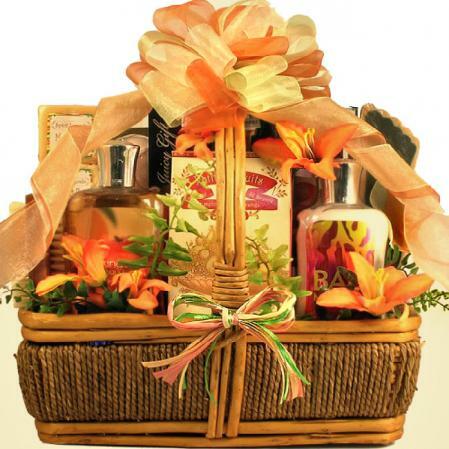 Make them feel like they are somewhere warm and beautiful with this stunning beach-themed gift basket. 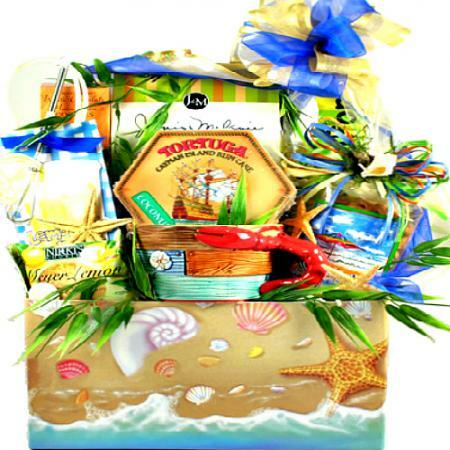 Whether as a gift for a birthday, a retirement, or a special holiday or occasion, they are going to absolutely love this beach gift basket!! 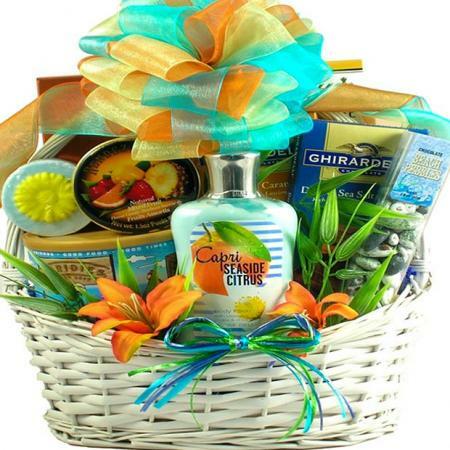 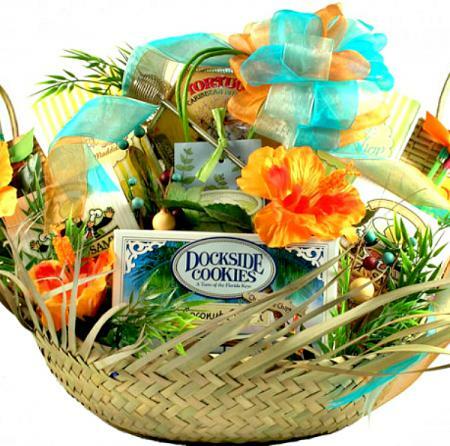 You will be soaking up the praise when they receive this festive ISLAND THEMED gift basket full of tropical favorites. 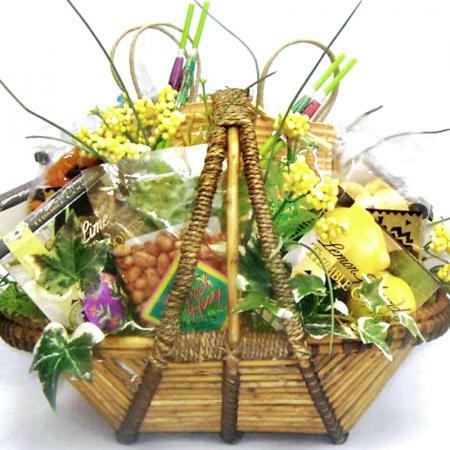 This cheerful and artfully arranged gift basket is so hot that it is sure to create huge waves for your next gift-giving occasion!